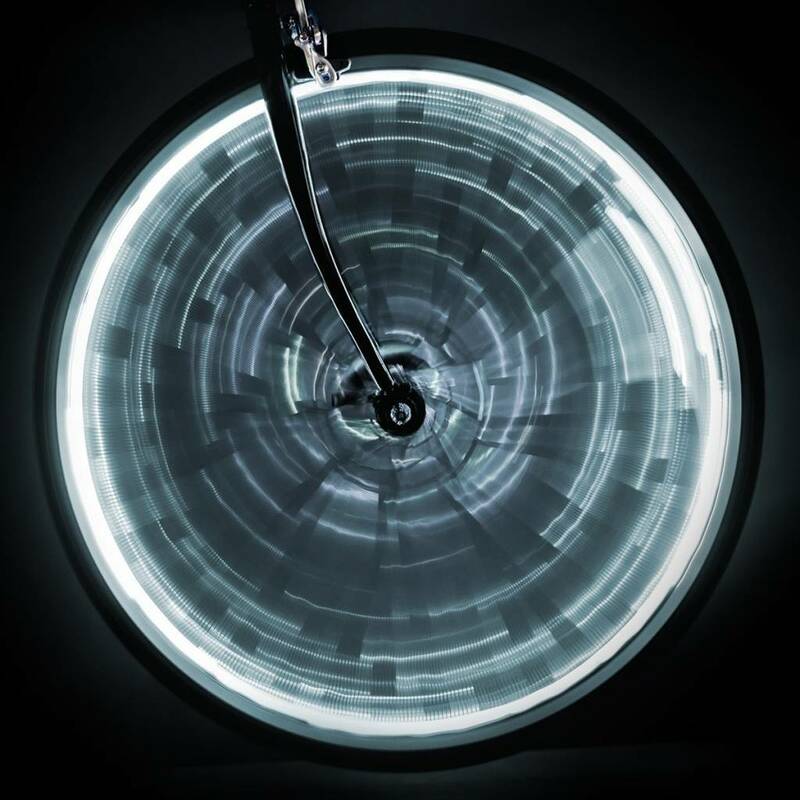 These wheel lights are pretty awesome. Not only do they look awesome while you're in motion, but they give you the ultimate visibility when it's dark outside. Provides full wheel illumination for wheels as big as 700c/29". Also fits smaller sized wheels. Battery life runs for up to 40 hours. Two different light modes: steady and flashing. Comes with single light strand for one wheel; sold individually for wheelset. Equipping cycle enthusiasts with a healthy, reliable and safe way to transport body, mind and spirit.